In the heart of the fingerlakes and Cayuga Wine Trail! 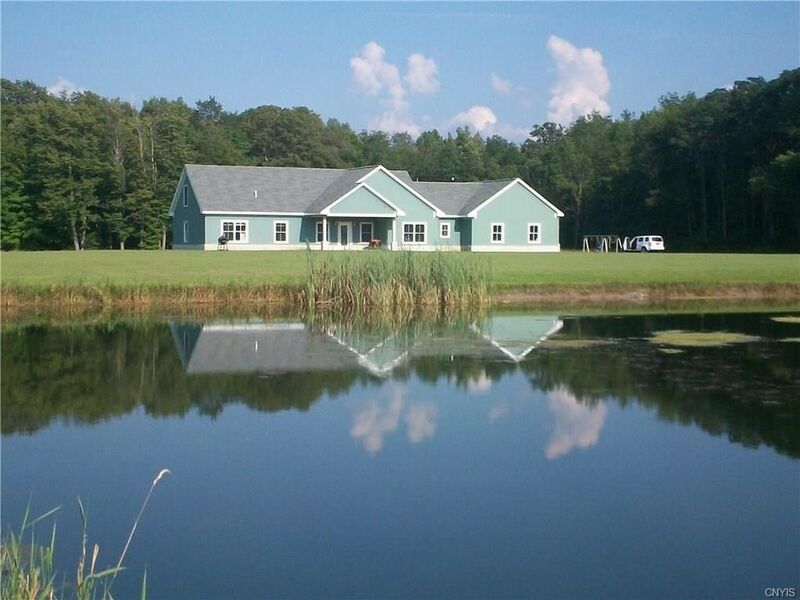 This custom built 2,420 sq ft contemporary home sits in the middle of 14 country acres with a large/deep pond. Surrounded by "forever green" land on both the North & East side, quiet / peaceful - a beautiful country paradise. This quality built home has an open floor plan, 25' cathedral ceilings, large custom country kitchen, large master bedroom with ceramic shower, radiant heat in the floors and 200 amp electrical service. Large 2 car garage with an unfinished second story family room. Directions: From Auburn - heading south on St Rt 34 bear left onto Silver St Rd. The home is 2.4 miles on the left.